Inspire specialise in the installation of aluminium doors in Cardiff and the surrounding areas. Aluminium is a highly sustainable building material that is perfect for new windows, doors and conservatories in your home. An aluminium frame is not only robust and durable but also timeless, as you will reap the benefits of a long lasting recyclable aluminium door. 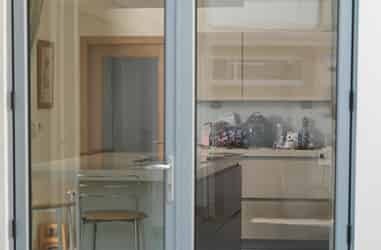 You may be thinking aluminium doors are mainly seen in commercial buildings, but they are becoming a fashionable and affordable product for residential homes. An excellent option for high-rise apartments that wish to maintain a modern and minimal look. 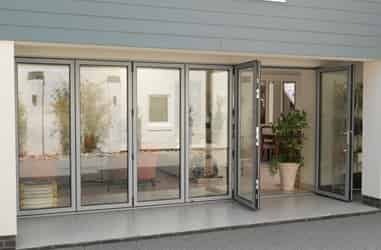 One of our most sought after aluminium doors in Cardiff is the bi-fold door. Superb for open plan living and socialising, an aluminium bi-fold door will create a dynamic aesthetic as well as increased light and space. They can also be installed internally or externally to seamlessly connect rooms in your home or into your garden. 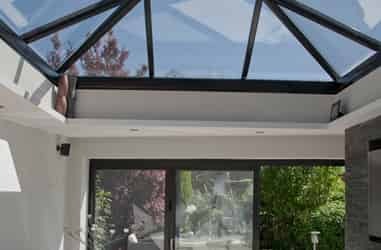 Specifically designed for the Welsh climate, our aluminium doors are fully weather sealed, and we all know how bad the weather can get around Cardiff and Newport. They are guaranteed to keep out any draughts or cold spots throughout the year so you never have to have heavy curtains or draught excluders to keep your home warm. 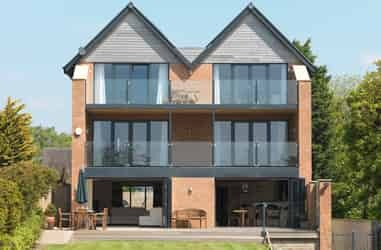 Due to their Polyamide thermal break system, our sustainable windows offer enriched thermal qualities and comply with Part L building regulations. This system has a very high resistance to heat transfer from inside your home to outside so you can save money on your heating costs. Aluminium doors are often the first choice for new build homes, as they maintain their fresh and contemporary design. 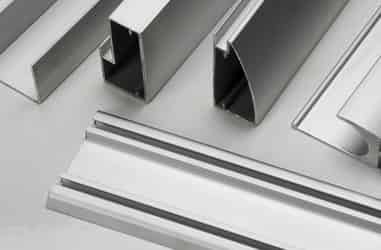 Aluminium door frames have unlimited flexibility and can be formed into a wide range of different styles and alignments. Slim sight lines are a certain advantage as they ensure for a level fit, meaning that unsightly corners are a thing of the past. Aluminium has superb energy efficient properties. Many people believed UPVC doors were the best choice, but now aluminium doors have earned their place in the market. Just as efficient as their UPVC counterparts but proven to last much longer, making aluminium doors a worthwhile investment. Aluminium doors will always blend effortlessly into your existing property. Safety will never be compromised with an aluminium door. Aluminium is specially designed to be both light and strong. The strength and robustness of our aluminium doors provides an excellent strength to weight ratio. This is what makes aluminium doors exceptionally tough. Your house will be kept exceedingly protected thanks to the everlasting nature of aluminium. 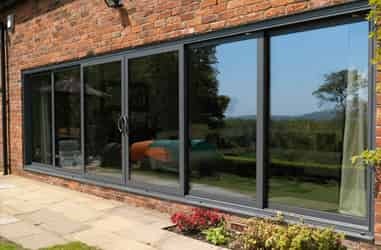 Supplied by Origin, our aluminium Bi-Fold doors have been carefully designed and manufactured with precision and innovation for almost 15 years. Our aluminium doors offer an extensive range of colours and finishes as part of our premium range of aluminium doors. The Origin aluminium Bi-Fold door comes with a wealth of extra features including: finger safe gasket technology, smooth running free glide system, low threshold option as well as an eight-point locking system, high security frames, hinges and large shoot bolts both at the top and bottom of the door. 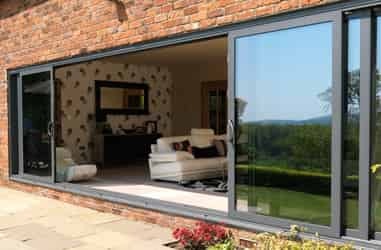 With all these features the Origin aluminium Bi-Fold door also comes with a stunning 20 Year Guarantee, giving all our home owners in Cardiff that extra peace of mind knowing that their brand new aluminium products have been built to last. Origin’s aluminium Bi-Fold doors are the perfect sliding aluminium door solution. 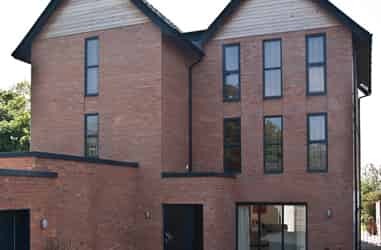 With an attractive slim-line profile these are an excellent choice if you’re looking to improve your Cardiff home.